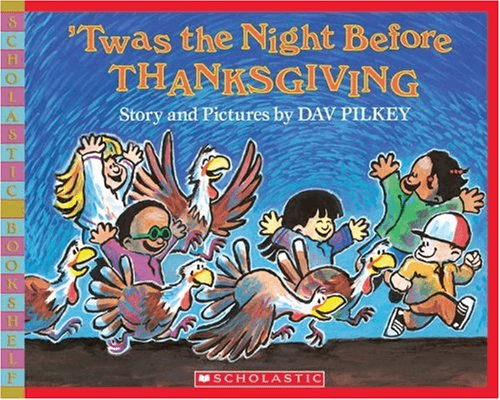 ‘Twas the Night Before Thanksgiving by Dav Pilkey (Scholastic Books) is a picture book filled with fun for kids before Thanksgiving. The illustrations have a Van Gogh artistic touch to them, while the text reads smoothly with a delightful rhyme kids will adore. 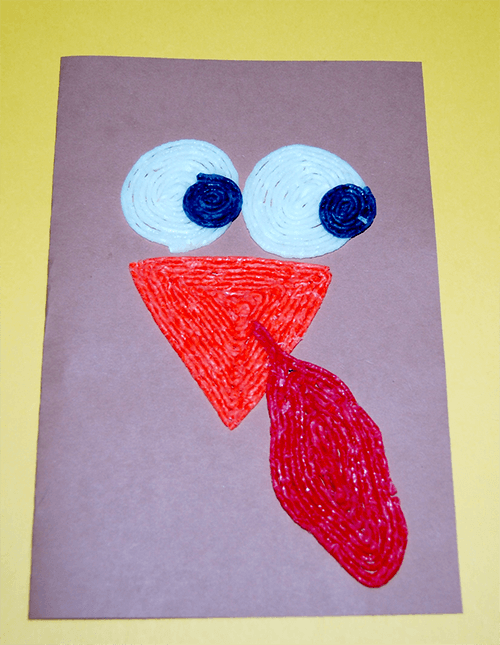 It’s a great story to accompany the Wikki Stix handmade Turkey card crafts for kids to create. The cards are easy to make, but will keep kids busy (and growing fine motor skills) while preparations are underway for your own Thanksgiving feast. 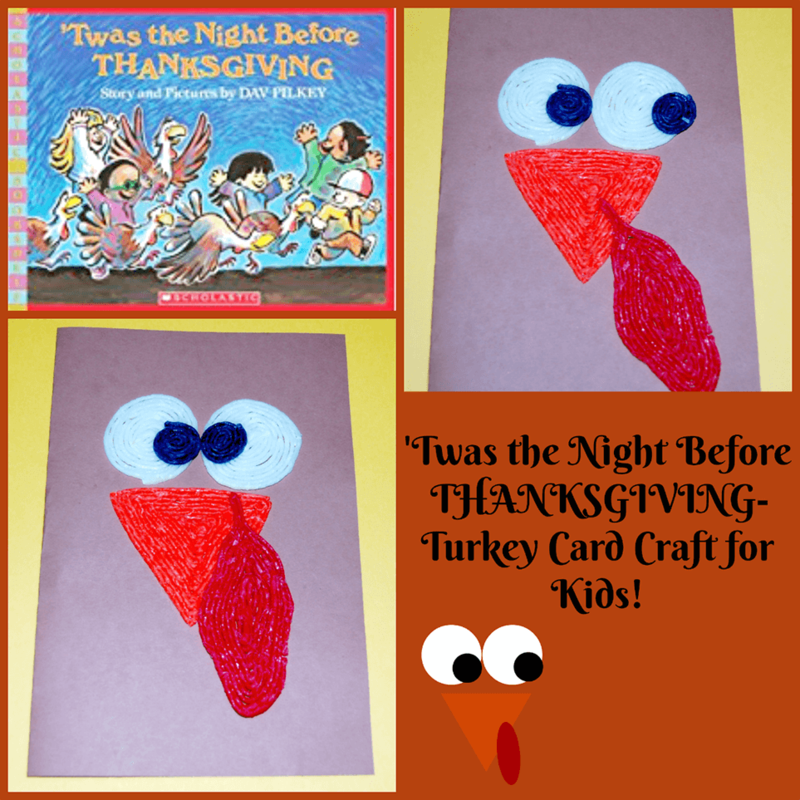 Prior to doing the Wikki Stix Turkey card crafts, read the story to your kids. Kids are protective of animals and the story will resonate with whimsical text for a fun Thanksgiving book and craft. After reading, set out supplies for kids to create their own Turkey card crafts to give to family and friends. The cards are simple to make and low-prep for busy families during the holiday. Turkey Parts Template (if desired) – download and print here. Have kids fold one sheet of cardstock in half to create their card. Kids can use the turkey template if desired to create the individual turkey parts for their card craft. The two large circles should be outlined in white, and then filled in with additional white Wikki Stix (following inside the outline). 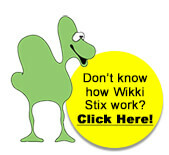 Kids can lift the Wikki Stix circles from the template to place on the brown cardstock as they finish. The two smaller circles should be outlined and filled in with black Wikki Stix. The two smaller black Wikki Stix circles should be placed inside the created white circles on the brown cardstock. The circles will become the turkey’s eyes. The turkey’s beak (triangle) and snood (oval on the template) are created with orange and red Wikki Stix. Kids should place the orange triangle below the eyes and attached the red Wikki Stix snood to hang from the beak. Older kids may wish to design their own turkey features without using the template. There is no “wrong or right way” to create with Wikki Stix – each turkey card craft will be unique to the child creating.